Jennifer Tarver  is a Canadian theatre and opera director and creator, whose passion for classic texts as well as cutting edge contemporary work defines her career. Born in Edmonton Alberta and raised in New York, Jennifer Tarver has a Bachelor of Music in performance from the Manhattan School of Music, where she studied clarinet. In 1998, she graduated from the University of Toronto with a B.A. in drama, and she also has an MFA in Directing from the University of Alberta. She has one son with her partner Liz Upchurch. 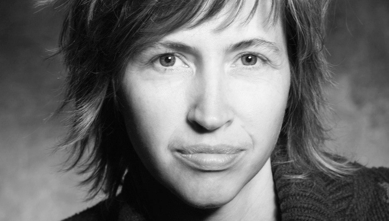 In 2004, Tarver became Associate Director of The Theatre Centre in Toronto, which develops new and innovating works. She was appointed as Director of The Opera Studio at the Centre for Opera Studies in Sulmona, Italy from 2007-2009. She is currently the Artistic Director of Necessary Angel Theatre Company and has been since 2013. Tarver has directed at the Stratford Festival, the Nightwood Theatre, the Tarragon Theatre, the Goodman Theatre, and the fall and Summerworks festivals, among many other major theatre companies. Along with directing theatre and Opera, Tarver has also founded her own Theatre company called Theatre Extasis. For her own company, Theatre Extasis, she has created and adapted Not Faust, History Play, She’s Gone Away, a solo dance piece, with choreographer Susanna Hood, and That Time – Five Beckett Shorts. Her original theatre piece, What Makes a Man, based on the songs of Charles Aznavour, opened at the Canadian Stage in 2014. A Midsummer Night’s Dream(Royal Conservatory of Music). In 2010, she was nominated for the Siminovitch Prize in Theatre. This page was last modified on 12 October 2017, at 11:28.